Every nurse and nursing leader will admit that nursing can be a difficult career path. Although many nurses truly love their work, the stressors can be multifaceted and occasionally debilitating. Nurses themselves should certainly take responsibility for their own self-care, and there are plenty of proactive methods for doing so. However, nurse leaders, managers, and executives must also consider nurse well-being and mental health; those who ignore nurses’ health do so at the peril of their organization and the profession as a whole. The stressors facing 21st-century nurses are legion. Nurse-to-nurse bullying is rampant in many facilities, and high nurse-patient ratios keep nurses running at an unhealthy pace. With staffing issues plaguing many facilities, nurses can be left without time for proper nutrition, hydration, and even bathroom breaks. Economic factors also impact nurses, including the potential for stagnant wages in the face the rising cost of living, not to mention student loan debt when nurses choose to further their education. In this historic time, information overload and over commitment are common. Some nurses may also find themselves as members of the so-called “Sandwich Generation”, caring simultaneously for growing children and aging parents. Moreover, as technology becomes more prevalent in healthcare, nurses must keep up with the times -- this can be especially difficult for older nurses who may be less intuitively adept with new software and hardware. All in all, nurses’ stress levels and mental distress can be astronomical, and they need support, compassion, and positive attention from their leaders, as well as a concerted personal effort towards good mental health and spiritual wellness. For nurses themselves, tuning into their own mental health is paramount. It’s lovely when an employer actively demonstrates care, but nurses can’t wait for their leaders to carry the ball – this must begin as an inside job. As stated above, over commitment and overload are common for busy nurses, so delegation is important. Finding help caring for the kids, minding elderly parents, or emotionally supporting a disabled spouse is essential, if not always easy. A nurse can utilize assertive communication skills, learning to say no to things that he or she just can’t afford to take on (e.g. : coaching the softball team, joining a local civic organization, or taking on extra shifts). Nurses are well-known for saying yes to anything they’re asked to do, thus some selfishness goes a long way towards opening up time for self-care. Personal mental health can be improved through exercise, nutrition, hydration, and getting enough sleep. Nurses can also pursue relaxing and life-enhancing hobbies outside of work. As healthcare providers, nurses must turn their health-conscious attention on themselves – it’s part of caring for the caregiver. When workplace culture does not support nurse wellness, everyone suffers, including patients. Bullying, cliques, and poor workplace social environments can lead nurses to feel excluded and lonely. Some research has shown that the experience of exclusion triggers brain reactions similar to that of physical pain. Eradicating bullying is essential. Being bullied is an emotionally painful experience that can lead to low self-esteem, depression, anxiety, stress-related illness, missed work, and even complete attrition from the workforce. 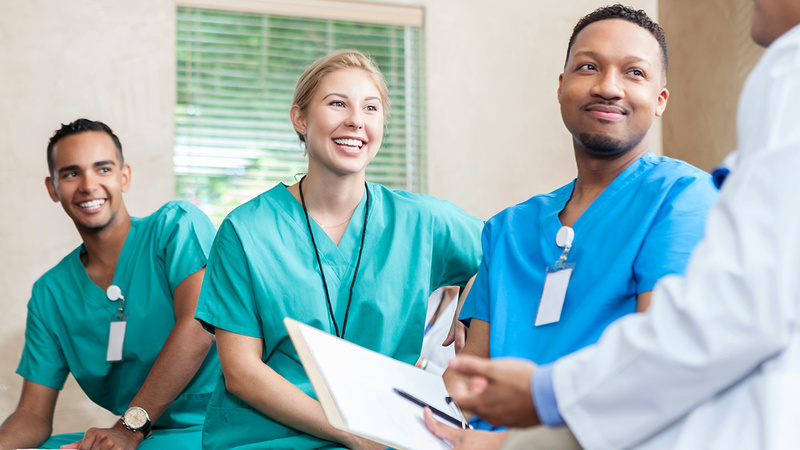 Nurses of all generations can feel ostracized by their peers, and thoughtful nurse leaders keep their finger on the pulse of workplace culture and work to improve it through proactive interventions. In terms of nurses lacking time for basic self-care like meals, hydration, and breaks from the rigors of a long shift, some institutions utilize “resource nurses” whose only responsibility is to cover for nurses going on break. Initiating such a solution allows nurses to leave the unit briefly, feed themselves, and return slightly refreshed. The positive psychological impact of actually taking a break from a hectic shift cannot be overstated – moments of rest for a hard-working nurse are like a healing salve for the body and mind. When a nurse leader assertively institutes measures that galvanize nurses’ ability to care for themselves and one another, a shift in workplace culture takes place. If a leader models compassion and kindness, this demonstrates to staff that positive emotional interaction is encouraged and expected. Emotionally and relationally intelligent nurse leaders can use motivational interviewing, active listening, and other aspects of positive psychology to ascertain how staff are coping and what strategies and interventions may be helpful. Understanding nurses’ struggles isn’t rocket science, and a leader who chooses to not listen will remain in the dark about the inner workings of the team and the individual nurses who comprise it. Suffering and martyrdom are not written into nursing job descriptions, but countless nurses experience both on a daily basis. Working 12-hour shifts without a break is unconscionable, even though this is normal behavior that is often encouraged and expected by managers. Living under the thumb of a bully can be deadening to the soul of a nurse who finds herself the target of such behavior, and this need not be. Nurse leaders must courageously do the right thing and eradicate bullying once and for all from the workplaces they manage. Nurses need not suffer in order to earn a living. Having entered the profession to serve others, the most trusted professionals in the United States year after year in the Gallup Poll should not work in conditions that compromise their mental health, physical wellness, and spiritual well-being. Through assertive leadership, proactive self-care, and a concerted effort to live the best life possible while also working as a nurse, negative workplace cultures can be turned around and nurse well-being and mental health can be optimized and prioritized. Awareness begins the process, and this must be followed by action. Nurses can care for themselves and each other in the interest of making sure that a nursing career is not a doorway to mental illness, suffering, and deep unhappiness. Nursing should be a job that a nurse does and loves, not a job that does her in.